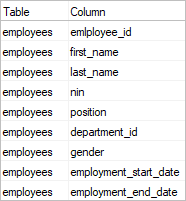 Data dictionary is a table with data elements (columns) as rows and their attributes as columns. 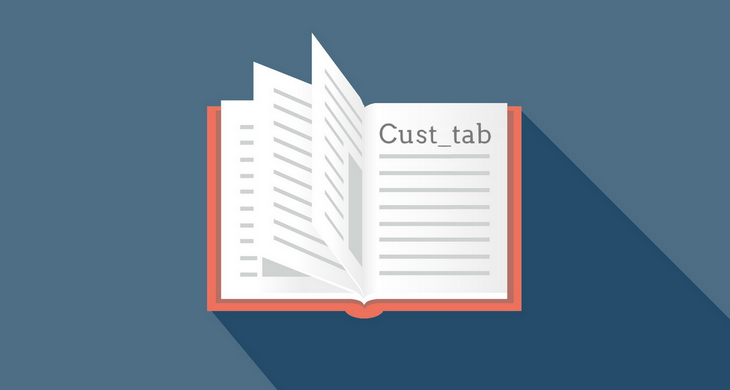 Specific attributes vary depending on the purpose of the data dictionary. In such case teams can collect this information in external document or dedicated software (referred to as data dictionary tool, metadata repository, data catalog). 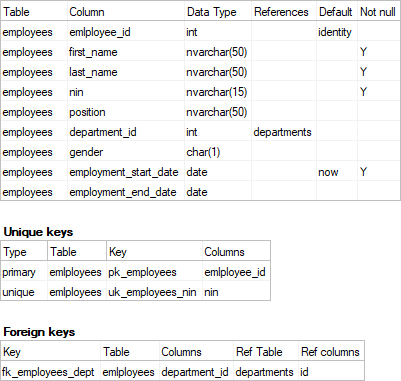 All major relational database management systems store information about data structures in a special structures – predefined tables or views that hold metadata about each element of a database – tables, columns, indexes, foreign keys, constraints and so on. This type of data dictionary serves the purpose of providing information to users and tools about the database schema - all elements of data model and programs. 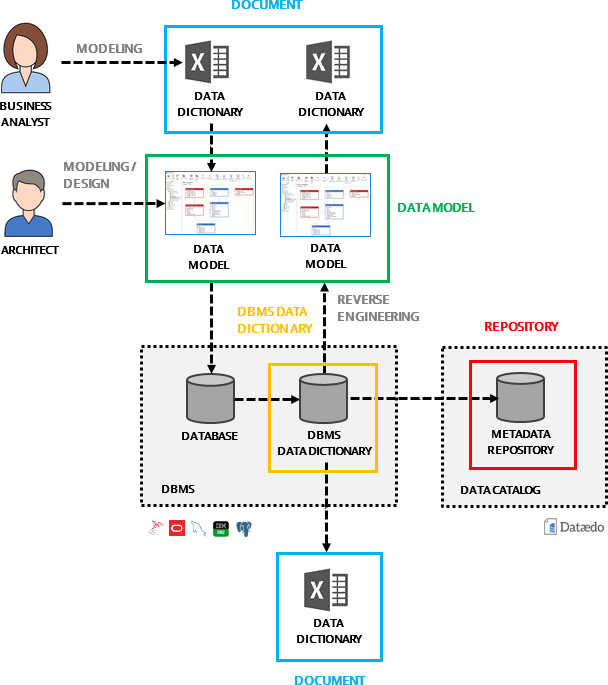 Data Dictionary can be used as a tool to model data. This can be done with dedicated data modeling tool or plain spreadsheet or document. In this case data dictionary serves as a specification of entities and their fields and helps business analysts, subject matter experts and architects to gather requirements and model the domain. Physical database and application is then designed and implemented based on this document. Data dictionary can also be used as a reference and cataloging of existing data assets - tables in databases, spreadsheets, files and so on. Most common occurrence of data dictionary is the one built into most database systems, often referred to as data dictionary, system catalog or system tables. Static exported document - usually HTML or PDF document generated automatically from database schema with a tool or data models. 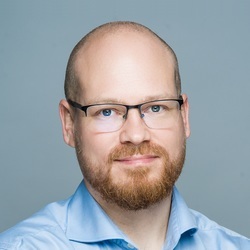 Organizations that are mature in their data governance implement special software that extracts, manages and provides access to data dictionary of data assets in multiple databases. This software can be called Metadata Repository (broader term) or Data Catalog (more specific and trending concept). 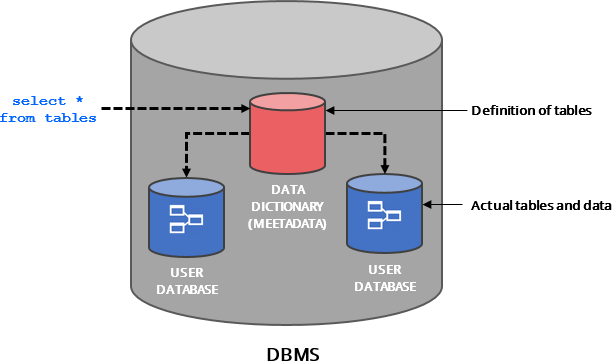 Diagram below shows where data dictionary appears in the process of design, management and documentation of databases.